Home » Australia » What Is The Cost Of Living In Australia For Immigrants And International Students? The number of people migrating to Australia as a permanent resident, on a work visa or as a student is rising every year. 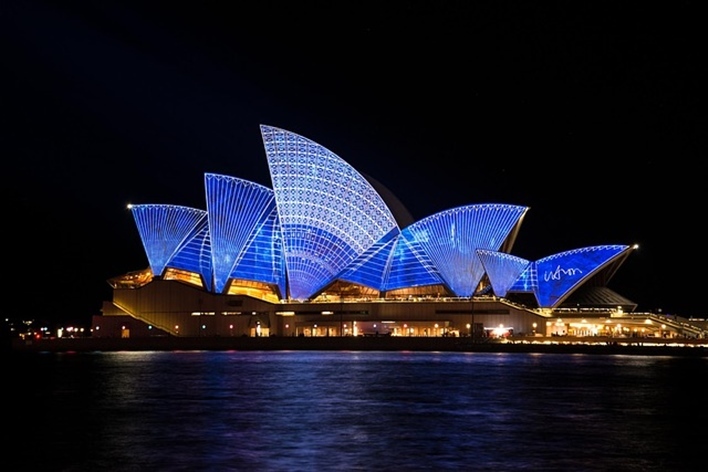 Do you want to know the cost of living in Australia. The country is known for its perfect weather, lifestyle that is generally relaxed, diversity in landscape, beautiful nature, high standard of working conditions, and a vibrant and multicultural city life. No wonder Australia is one of the top choices for students and expats. The continent is famous for sand, surfing, and sun which makes it quite popular among people who’ve lived in cold climates most of their lives. Australia occupies the 12th position in the list of nations with the highest cost of living in the world. The cost of living in Australia is higher when you compare it with that of the United States but lower than that of London. However, the cost of living is determined by the city, town, suburbs, state, and territory that you choose to live in Australia. Opting to live in a quiet town or suburb can bring about a major difference in the cost of living. This means you can save a good portion of the income earned in Australia. Whether you are moving to Australia as a permanent resident, student or employee, you need to have a clear understanding on how much it would cost you to move there and the cost of living in each place. Given below are some of the major factors that determine the cost of living in different places in Australia. Sydney, Melbourne, Perth, and Adelaide are the most popular cities chosen by people to migrate to Australia. Hence these cities remain the most expensive when it comes to determining the cost of living in Australia. A major portion of the cost of living in this country comprises of paying rent and residential costs just like it would be in any other country. Sydney is the most expensive area in Australia. Renting a fully furnished apartment in an expensive area in Sydney could cost you around 2,800-3,500 AUD (Australian Dollars) per month. This could go down to somewhere between 1,700-2,600 AUD if you choose to live in a normal or lesser expensive area. Sydney is followed by Melbourne where you would be paying up to 2550 AUD in an expensive area and just below 2000 dollars in an expensive area. Rent is lesser in places like Perth, Adelaide, Brisbane, Canberra, and Darwin. It could be anywhere between a 1,000 AUD to 1,700 AUD. Opting for a quiet suburb or town could help you cut down on rent and residential cost. In addition to rent, a person is also expected to pay utility charges every month. This is also a part of residential costs. For a 900 Sq. feet house the utility charges which includes heating, light, and gas could go up to 200 AUD per month. For a smaller house which is around 480 Sq. feet it could cost you somewhere up to 170-175 AUD as utility charges. Australia is well known for its excellent medical health care system. If you are migrating to Australia as a permanent resident you are entitled to Medicare which covers most of your medical expenses in Australia. Payments to Medicare is taken from your taxes. However, you’ll have to apply for a private health insurance claim to cover dental care and specialist treatments. Students and employees need to apply for private health care insurance unless the employee is a tax paying citizen in Australia. For private health care insurance, the amount you have to pay depends on what you wish to cover and where you live in Australia. On average people in Australia pay around 2,000 AUD for additional private health care insurance every year. Expats from certain countries can avail treatment through Medicare because Australia has reciprocal health agreements with those nations. The countries are Ireland, Italy, New Zealand, Sweden, Malta, Norway, Netherlands, Finland, and the United Kingdom. For people who love fitness and regular workouts, a monthly membership in a gym would cost you around 65-80 Australian dollars on an average. Considering Australia has good weather most of the year outdoor fitness training is also quite popular. The price for recreational activities or entertainment could seem to be a bit high for people who have moved from developing nations. Compared to what you pay in Europe or the USA it is almost the same or even less. Movie tickets for two could be anywhere between 32-36 AUD. A musical or dance performance or a play in a theatre for two could cost you more than 200 AUD. For entertainment at home you could subscribe for Pay TV with one of the service providers in Australia (On an average it could cost you around 25 AUD). You can also opt for a monthly package of internet based online streaming services which could cost you anywhere between 12 and 15 AUD on an average. Cost Of Living In Australia – How Much You Should Pay For Food? A person living in Australia would have to spend 250-350 AUD on an average on food and groceries. The price could go higher or lower depending on the city that you live in. You may have to pay more in cities like Gold Coast, Sydney, and Hobart. The price of food would be cheaper in Brisbane and Perth. The price for food items would be less if you choose to buy it from chain stores or supermarkets. The cost of eating out depends on the type of restaurant that you choose to go to and the city or town that you live in. A basic meal in Australia could cost you somewhere between 15 and 20 AUD. That could go up to 50 AUD or more depending on the quality of the restaurant. Eating a meal at a fast food chain like the McDonald’s or Subway could cost you somewhere between 8 and 15 AUD. A cup of coffee (takeaway) could cost you somewhere between 4 and 5 AUD on an average and you’d be paying 5 AUD for half a liter of beer (domestic). Australia is famous for its well organized and cheap public transport system. Train, bus, and ferry services are available through the public transport system. You need to purchase a travel card to travel on public transport. You can add credits to the travel card and travel anywhere in the city without having to worry about paying money. You need to purchase an Opal card in Sydney, a Myki card in Melbourne and a Go card in Brisbane. When you compare the prices with the public transportation system in New York, London or Germany it is much cheaper in Australia. The public transport system in Australia gives you more miles at a much cheaper cost. Besides, you can also use the tram services in Melbourne and light train system in Sydney to commute. These are operated by both government and private services. To travel to and from the airport, you can opt for the airport line train services in Brisbane and Sydney or the Skybus service in Melbourne. This is much cheaper than hiring a cab or driving your own private vehicle. Taxi services are quite expensive in Australia. If you choose to drive your own car it could cost you 1.40 AUD for 1 liter of unleaded petrol. The price of diesel is higher in Australia. 1 liter of diesel costs 1.55 AUD at present. Just like anywhere in the world, the cost of living in Australia largely depends on the city you choose to live. Living in cities like Sydney, Melbourne or Canberra would cost you more. You can cut down your living cost tremendously if you choose to live in a quiet town or rural area. Once you know the exact location in Australia to which you are planning to migrate it will be easier for you to prepare a budget.